Tours leave every hour on the hour. First tour is at 10 am and last tour leaves at 4pm. Georgetown what it was and is today. thank You best $15 tour I have ever been on. We were passing through Georgetown on Monday, March 14th, and stopped to take the tour after seeing it listed in the AAA Tour Book. Great tour! . . . . and Georgetown has some very interesting homes and churches. Our EXCELLENT guide, Lloyd, kept our attention for close to 1 1/2 hours as he drove us around town on the trolley. It was so interesting that we spent another hour walking and driving around town before heading to Charleston. DON’T MISS IT! My wife and I were just walking along Front Street and we were looking at brochures. 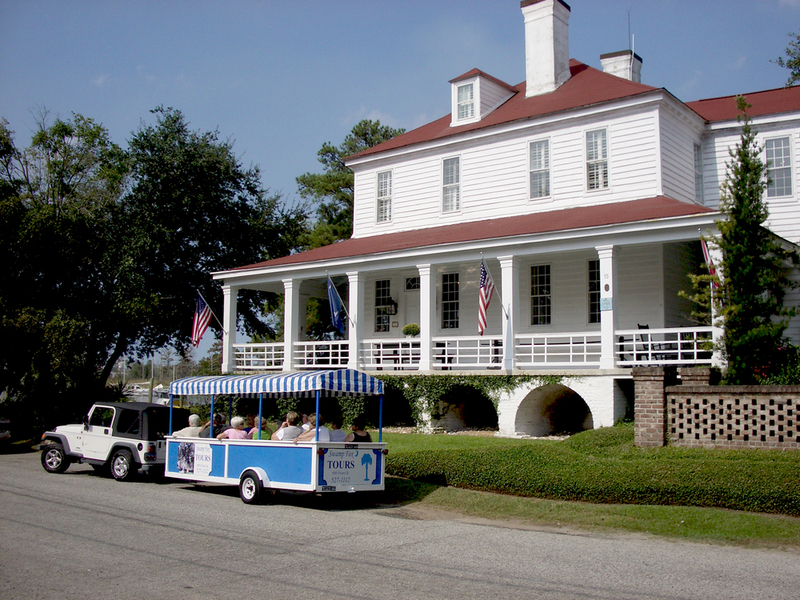 We came across the Swamp Fox Tours brochure, and decided to give it a try. What a tour. Our guide was very informative. We saw beautiful homes, trees that were over. 200 years old, churches. We would highly recommend this tour.